The uTrust 4711F from Identiv is a 13.56 MHz contactless smartcard reader with added SAM slot, that supports all major card standards and technologies including ISO 7816, ISO 14443 and NFC. 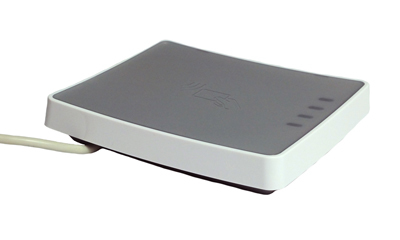 The uTrust 4711F represents a feature-rich reader with a sleek design that is suitable for various applications, particularly where a secure element is required inside the reader. Previously known as the Cloud 4711F.